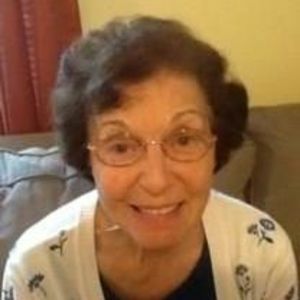 Joan Marie DeSimone Chiklis, 84, died peacefully at her home with her family by her side after a year long battle with pancreatic cancer. Joan was born in Brooklyn, NY in 1933 to Felicia and Nicholas DeSimone who preceded her in death. She was the eldest of three children and is survived by her brothers Robert DeSimone and wife Patricia, and Richard DeSimone and wife Nancy. Joan is also survived by her three children, Debora MacQueen, her husband Duncan and their two children Robert and William; Gregory Chiklis, his wife Fadwah and their four children Charles, Alexander, Victoria and Elizabeth and Cynthia Kain, her husband Kevin and children Michael and Meredith Matson. In 1954, Joan received her Bachelor's degree from Lowell Teacher's College in Lowell, Massachusetts. She married the love of her life, Dr. Charles Chiklis in 1956 and they immediately moved to Dayton, Ohio where he was stationed in the Air Force. Joan taught elementary school which was her passion before relocating to Massachusetts to start a family. She and her husband settled in Lexington , MA where they resided for thirty years. Joan actively volunteered with the church youth group, taught religion classes, was President of the PTA and served as a Den Mother for the Boy Scouts. In 1989, Joan and her husband relocated to North Carolina. Over the next two years, twenty family members migrated down from Massachusetts to join them in Cary. Joan loved politics, gardening, bridge, book club and water aerobics. She also enjoyed visiting the beach with her family and hosting big Italian get togethers at her home. Her faith in God was strong and she gave back to the church by starting a casserole program to feed the needy. She was also very generous to charitable organizations to help those less fortunate.